Thank you very much for this post. I learn more and more daily because of your posts here and elsewhere. 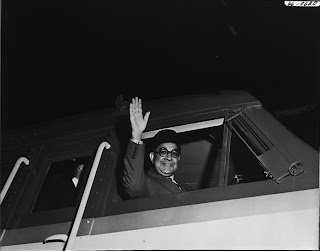 I have briefly gone elsewhere - after reading this post - to read further on Liaquat Ali Khan. From my limited knowledge and understanding, I nonetheless notice immediately that he seems to have embodied a deep sense of service toward Pakistan. Reading of his service ethos and general character, it makes me sad that I can't sit in his presence. It seems that there will always be those who will shoot and kill those who strive to serve others, to lift others. May the message embodied by Liaquat Ali Khan, Muhammad Ali Jinnah, Allama Iqbal, and others be what (and I know it is) triumphs over this violence. Thank you very much for this article and the further links you provided here, sir. I don't understand why we as a nation have always most readily believed any sort of lies or disinformation against our leaders, without any research or verification on our part. 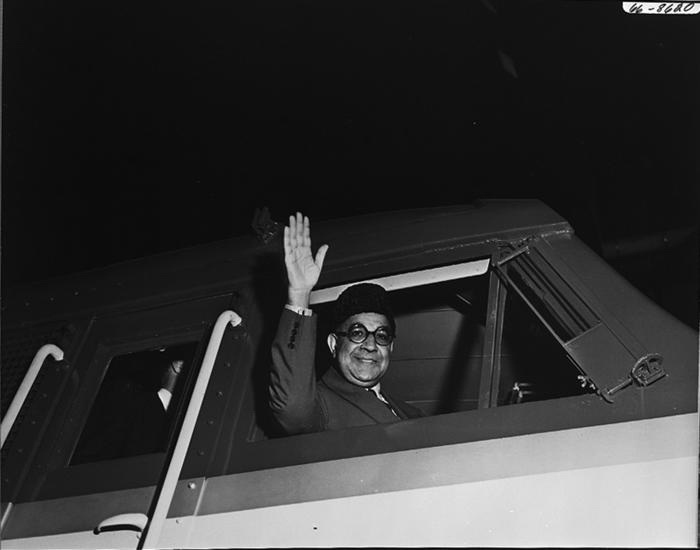 Liaquat Ali Khan, esp. has never received the honour or respect that was due to him - despite the fact that his life as the first Prime Minister of Pakistan was "reminiscent of the early Caliphs of Islam." Muhammad Ali Jinnah's 11th August Speech was one of the most notable speeches made by the founding father of Pakistan to the Constituent Assembly of Pakistan. Today there is hardly a more contentious issue in Pakistan than the issue of Jinnah's vision. While Pakistan was created as a result of what could be described as Indian Muslim nationalism, Jinnah was once an ambassador of Hindu-Muslim Unity. When the Partition of India finally occurred, Jinnah, soon-to-be Governor General of the Dominion of Pakistan, gave expression to his vision of Pakistan in an address to the Constituent Assembly, delivered on August 11, 1947. He spoke of an inclusive and impartial government, religious freedom, rule of law and equality for all. Good info, and much needed one. Thank you for bringing us back to the day when Liaquat Ali Khan the first prime minister was assassinated.It is not hard to know who was behind this horrific crime.The four myths about him was simply to discredit him and it seems,the conspirators succeeded.He didn't do any of these things he was blamed for.The motive was to completely forget about him.All the propaganda worked.This I would say is the reason why we failed to cherish the memory of a great person like him.the ground was laid by the conspirators so that the common people did not consider him a role model.He definitely was a role model and we should not have forgotten about him.The four years that he lived,he made the country from a have-not to a country that was recognized by the world.We still have time to emulate him and we should for the sake of Pakistan.A man who in his dying hour prayed to God to save Pakistan,in my opinion was a true patriot.This is reason enough to keep his memory alive.